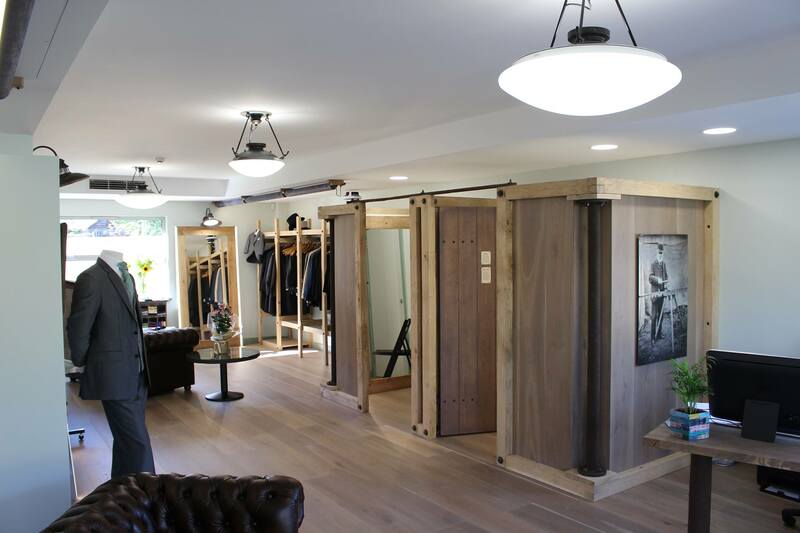 Hooke & Co. Business Strategy client, Sharon Cousans launches her new formal menswear hire business in Bassingbourn, Cambridgeshire. 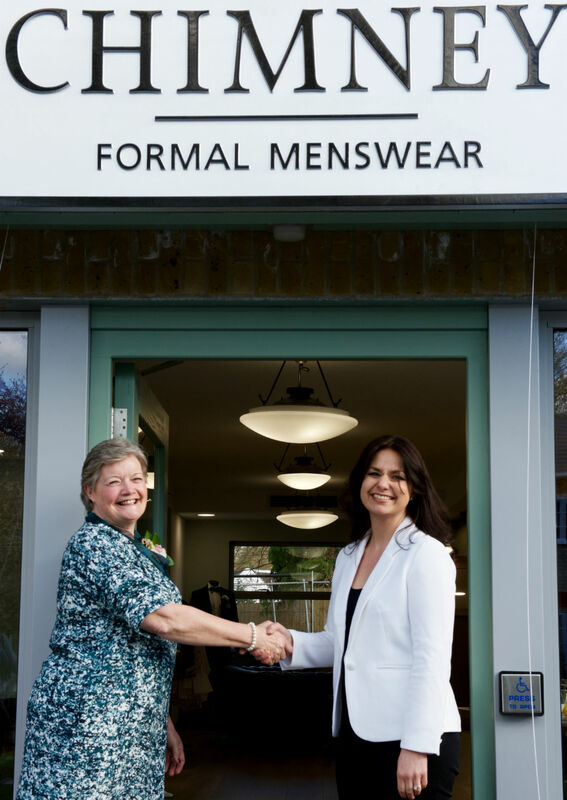 With local MP Heidi Allen, Sharon celebrated the launch of Chimney Formal Menswear on 29th April. Chimney Formal Menswear takes its name from the 19th century industrial chimney adjacent to the store – considered to be a local landmark. The industrial theme is carried through into the store with a blend of Chesterfield sofas, rustic wood and ironwork features. Sharon came up with the concept for Chimney Formal Menswear whilst working in a bridal boutique. The experience of choosing a wedding dress is made as enjoyable and luxurious as possible by wedding dress retailers. Grooms rarely have the same experience… until now! Chimney offers men a comparable, first class, experience. Working with Hooke & Co. Business Strategy has been an excellent enlightening experience. Chimney Formal Menswear has recently been nominated as a finalist in the Bridal Buyer Awards for the Best Groomswear Retailer Award. Visit the website http://www.chimneymenswear.co.uk/, call 01763 252 828 or visit the store at 68 High Street, Bassingbourn, Royston, SG8 5LF. Launch celebrationsSharon Cousans (left) with Heidi Allen MP.